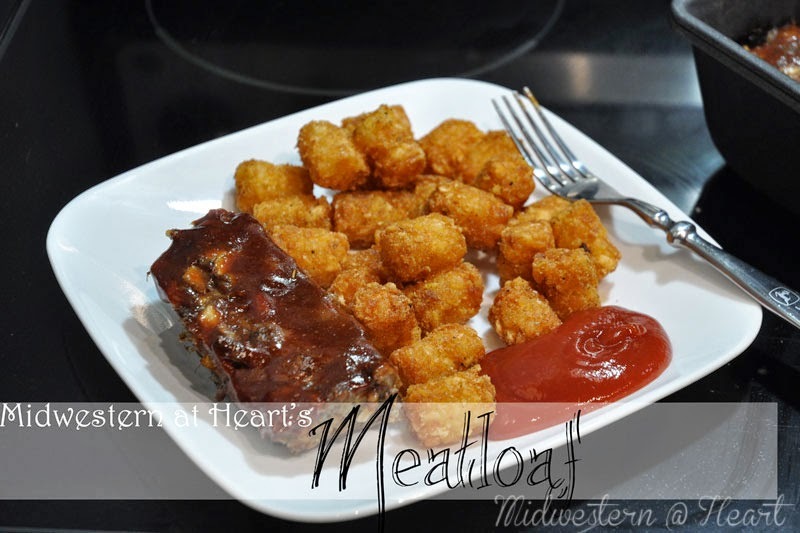 Do you remember back in our/your school days when the cafeteria would serve Meatloaf for lunch? I remember when the kids used to call it Mystery Loaf. I wasn’t ever scared, but maybe that’s because my mom made meatloaf for dinner a lot? Of course I guess they could have been calling it that because you never knew what the school used to make it… I dunno. A couple weeks ago I was at my grandma’s house. She was helping me finish up a blanket. About the time I went to leave, it was about time for dinner and she started making Meatloaf for her, my uncle and my uncles girlfriend (does that sound juvenile?). She made some extra and sent home for us to have for dinner as well. Since then I’ve kind of been feeling the Meatloaf. We’ve had it twice since then. I thought I’d share how I made tonight’s meatloaf which was a bit different because I had to substitute ingredients I didn’t have for ingredients I did. Let me just say… YUM! Crush your crackers. 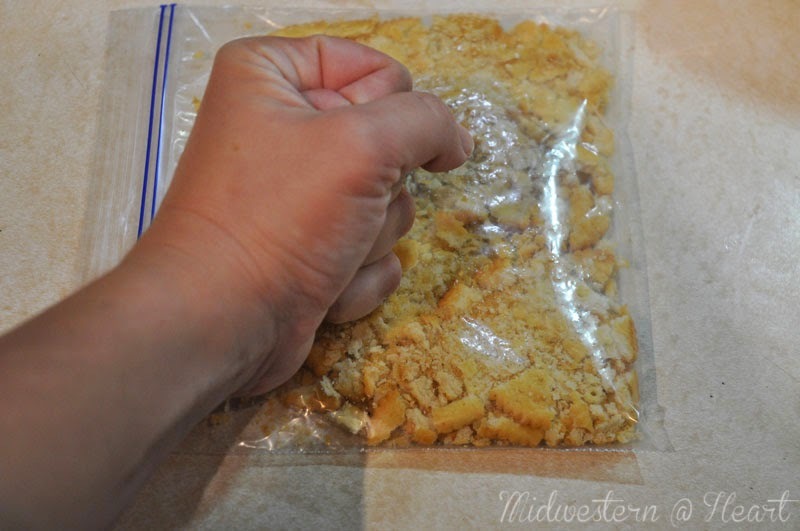 I used my fist because they crumble easily but you can use a pan or a meat mallet or whatever you need. It’s a great release if you’ve had a terrible day! 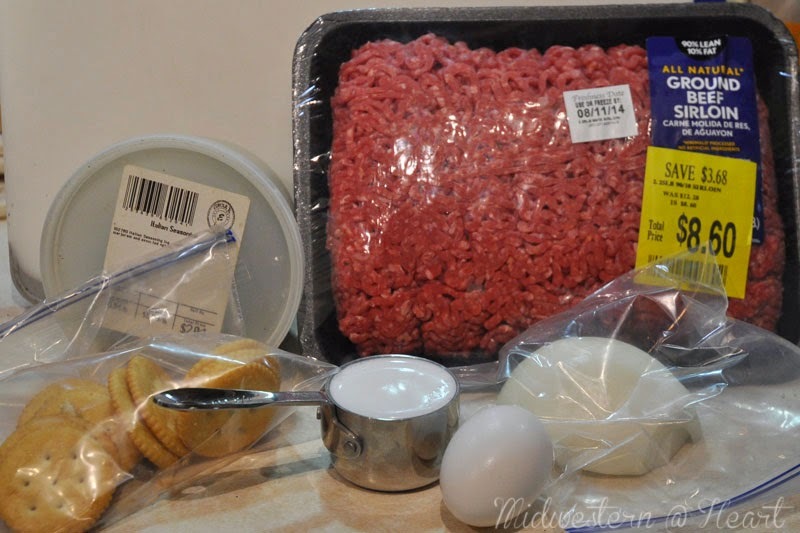 Place all your ingredients in a bowl along with the hamburger. I went with half a medium onion. 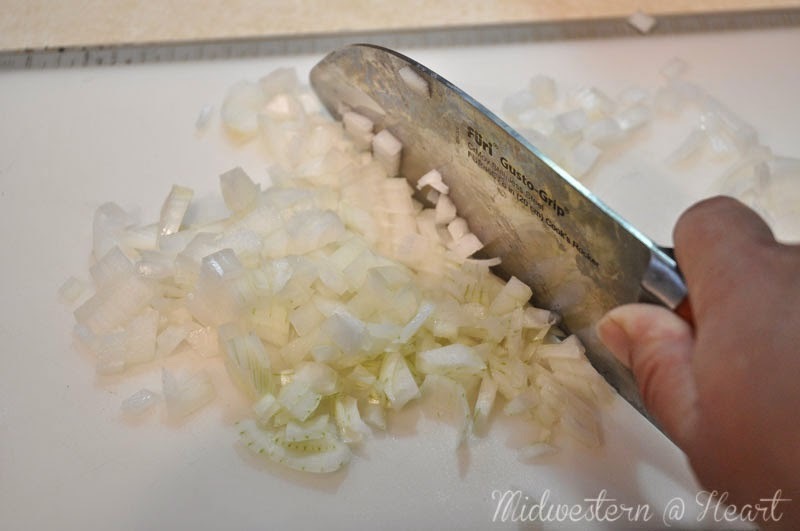 We like cooked onions… If you aren’t big into the onions, you might cut back a bit. Once you mix it all up, place in a loaf pan and place in a 350 degree oven for 35 minutes. 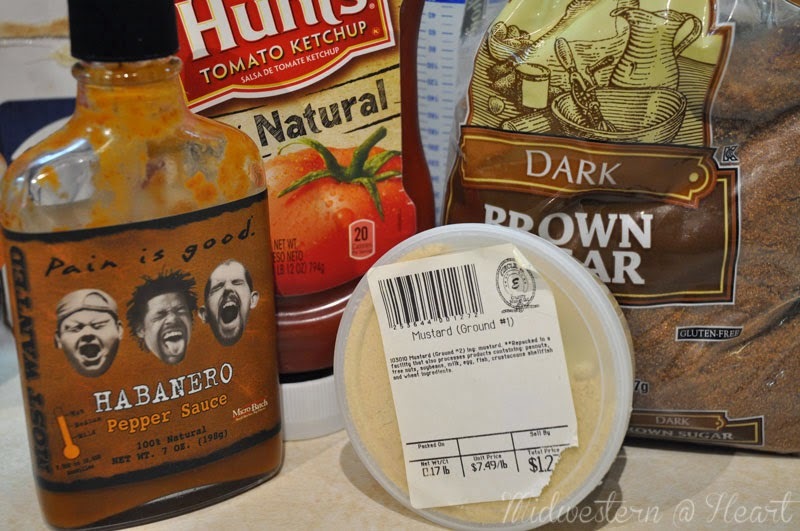 A splash of hot sauce depending on how spicy you like it. 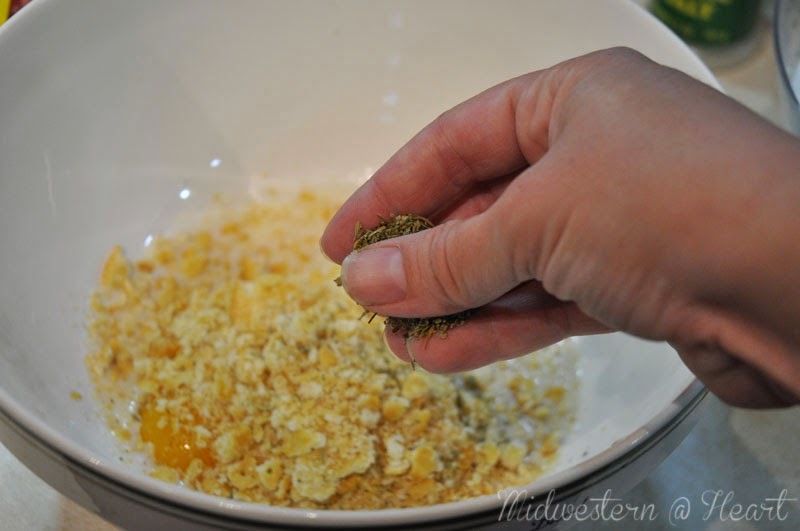 Mix all ingredients together and spread over the top of the meatloaf. Then place the meatloaf back in the oven for 10 minutes. Once the timer goes off, give your meatloaf a couple minutes to rest and serve with your favorite side dish. We went with extra crispy tator tots (we had to take care of an explosive diaper situation… so the tots got extra crispy).